Participating in architectural design competitions is a major way for designers to demonstrate their design ideas and realize their professional dreams. To help designers make their voice heard, we would often share useful information on architectural visualization contests and events at home and abroad in our Industry News and Trends. 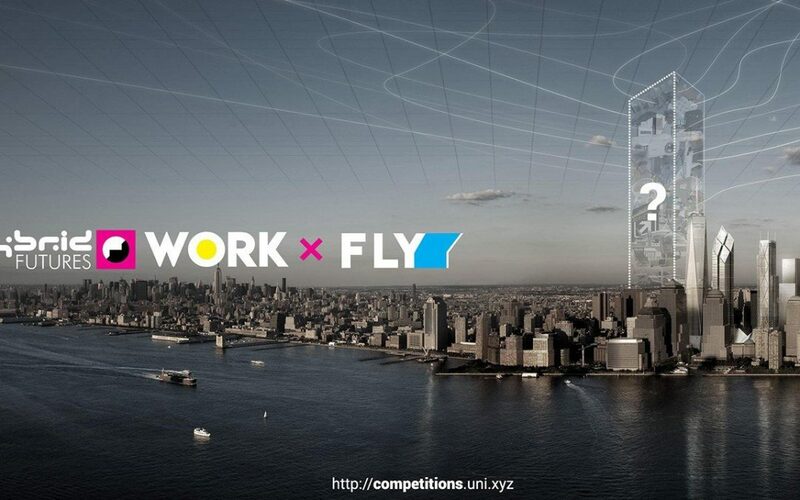 In the coming decades, the basic direction of work will call for faster transmission technology and require the participants to design a skyscraper that integrates office space and flight centers (that is, both open and private). Ground commuting is increasingly unpopular because of low space utilization. Instead, air travel would be less restrictive, cheaper, and more popular. It is our hope to increase the efficiency of both types in the future. The challenge is how to design and create a more diverse and mixed future building that can accommodate these two outstanding types. With the development of urbanization and iteration of technology, the cities are in need of reducing its density. Nowadays the function of space is merging and intersecting constantly. Our daily life is full of such examples. For instance, the restaurant can be used as common office space in the morning and a club in the evening. The 2019 Hybrid Future Architecture Concept Design Competition will explore this programmable derivative on a more futuristic timeline and in a more dense scenario. If you want to know more about the participation method and detailed information on 2019 Hybrid Future Architecture Concept Design Competition or other contests, please feel free to contact us and we will reply you in 24h. We would be glad to inform you of all kinds of design events and help you address the challenges of taking part in these competitions and contests. Don’t worry, the consultation would be completely free.